Running projects can be a bit of a headache. That’s why having not only the knowledge and experience, but also the right project management tools has become very important.This is the case for many management methods and Kanban is no exception. 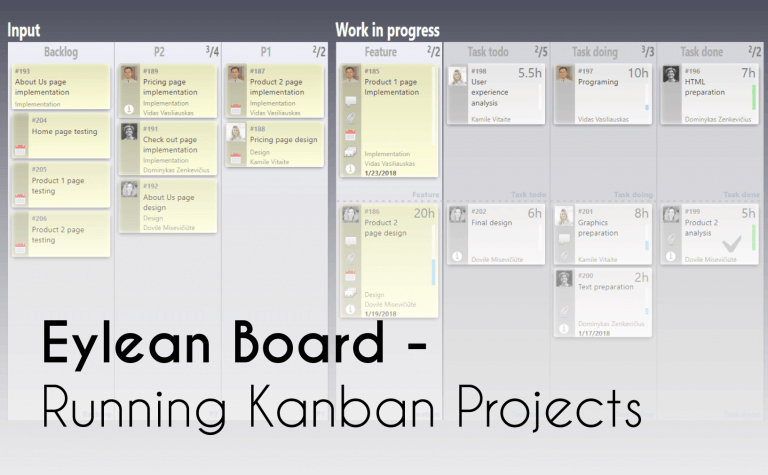 While there are many Kanban solutions on the market, this blog represents a specific one – Eylean Board. And in case you haven’t tried it yet, I want to take some time and tell you why running your projects with Eylean is a great choice. 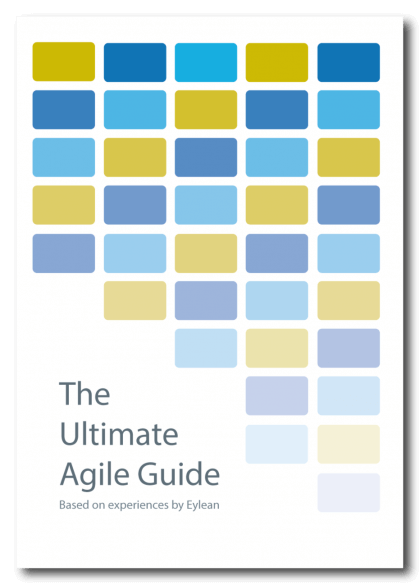 So with no further a-do let’s dive into the Kanban process and explore how Eylean can help ease it. When you look at the Kanban process, there are no strict rules on what needs to happen. The team acts according to the project needs and adjust their course based on the outside situation. Nonetheless, when talking about this method, there are some clear steps each of the team takes while on the mission of completing the project. The first thing Kanban teams do when starting out the project is figuring out their process and setting up a work space. Which in this case is the task board. You need it to be visual, based on your process and accessible to all team members at all times. Eylean lets you do just that from start to finish. For the setup, you can choose a Kanban board template, modify it or create one completely from scratch. Add as many steps, sub-steps, teams, projects, boards as you need to create a space that feels not only right, but comfortable for you to work in. Having several boards or teams doesn’t limit you either, as you can move tasks freely across the work space and thus share them with everyone. Once the board structure is done, the next step is setting up limits or as we know them in Kanban – WIPs. Work in Progress limits are important to control the amount of work the team is working on at any given time. Ensuring the bottlenecks are solved and not forever overtaken by other easier tasks. Eylean allows you to set a variety of limits within your board – you can limit specific sections, columns or both. Choosing which option is best for you depends on the board component you want to limit. For example, setting a limit for a backlog would not make much sense as there is no way in predicting the number or the duration of the tasks. While setting limits on the priority columns is a great idea, as you need to control how much work ahead does the team plan and how many tasks can be pulled into the ‘Doing’ section. The last thing to decide for your Kanban board is usually the prioritization of tasks. This is done with numbers on task cards, place on the list or priority columns. While all methods are popular and widely used, the clearest one is usually the priority columns. The backlog section of the board is supplemented with additional columns that hold the priority tasks to be completed by the team. There are usually at least two columns – P1 meaning the highest priority and P2 meaning lower priority. Which give the team a clear understanding on what to work on next. With Eylean you can easily achieve any one of these methods. You can number the tasks according to their priority, arrange them in any desired order on the board or create priority columns. If you decide to go with the column option, you can also assign custom WIPs. Meaning that the team can only prioritize a certain number of tasks and have to truly identify the most important ones. As the board is sorted and the work begins, the teams meet daily yo discuss the progress and issues. For that it is important to have a task board that clearly visualizes the process and highlights problematic areas. We at Eylean place great importance on these visual ques. At any given time you can quickly see who is working on what taskt, how much scheduled tasks are left and what issues are they facing. The roadblocks are highlighted in red, as are the overdue tasks and overflowing columns allowing you to spot the problems. And each task carries additional information within the task details, making it easy to check upon and report progress. All managers love reports. They make it easy to understand the team progress, potential and report to stakeholders. To make a project management tool trully fit for a Kanban team, there needs to be not only the traditional progress reports, but a few additional ones. Lead and cycle time lets the teams measure velocity and better understand their progress and potential. You will find all the traditional reporting capabilities such as project dashboard and tracked time in Eylean. But that is not all. You will also be able to take advantage of the automated lead and cycle time reporting, making your Kanban experience full. The capabilities of these reports are fully described in this article. Lastly, before any project can be complete, you will need to present the results. And having the right tool can help you a great deal in remembering and showcasing all the work that has been done on the road to success. Eylean stores all of the project data and makes it easy to report on the progress. You can use it to analyze your process, charge your customers and report on the achievements. It is all your data and we make sure you feel like it. Do you take any additional Kanban steps? Share in the comments and we’ll see if Eylean can help with that!